All about great Evangelists, Mar Thoma Church Leaders and other Christian luminaries by Nalloor Publications (1976). Indian Prime Minister Narendra Modi dedicated to the nation the National Salt Satyagraha Memorial at Dandi in Gujarat on Mahatma Gandhi’s death anniversary, 30th January 2019. The memorial is a tribute to the 80 marchers who accompanied Mahatma Gandhi from Sabarmati to Dandi in 1930. The year also marks the 150th Anniversary of Mahatma Gandhi revered as the Father of the Nation. The Salt March initially began with around 80 people, but as more and more people joined in for the 390 km-long journey, it grew into a strong force of 50,000 people which then led to collective Freedom Movement. Who was Shri Thevarthundiyil Titus also known as ‘Titusji’? Almost all Indians are familiar with the image of the historic Dandi Salt march by Mahatma Gandhi in 1930 that triggered the wider Civil Disobedience Movement leading to India’s freedom from the British. Among the marchers that would change India’s destiny was just one Christian and a Mar Thomite, Shri Thevarthundiyil Titus also known as ‘Titusji’. However he was sidelined and never received a pension from the Central Government, State Government or Freedom Fighter’s Associations. His own Church, the Mar Thoma Syrian Church seems to have no recollection of him or given him due recognition. Tituji’s home Parish, Maramon Mar Thoma Church or the Bhopal Parish St.Peter’s Mar Thoma Church which began in his residence have all but forgotten their illustrious son and his contribution to the nation’s freedom. He was represented on the old Indian Rs. 500 note as a “Christian Priest”. The image on the now discontinued Indian 500 Rupee note was that of a sculpture made in tribute of the march now in the heart of Delhi city, on the Sardar Patel Marg. The sculpture shows ten Indian people following Gandhi on his path-breaking civil disobedience protest, hence the name “Gyarah Murti” (Eleven Statues). The Christian priest was included to represent the only Christian in the march – Titusji. A devout Gandhian – he was known by the name Titus in his earlier days. “Titusji” was the name given to him by Mahatma Gandhi as a token of love and honour. “Gyarah Murti” or “Eleven Statues with the priest highlighted in Red to represent Titusji who the lone Christian in the Dandi Salt March. 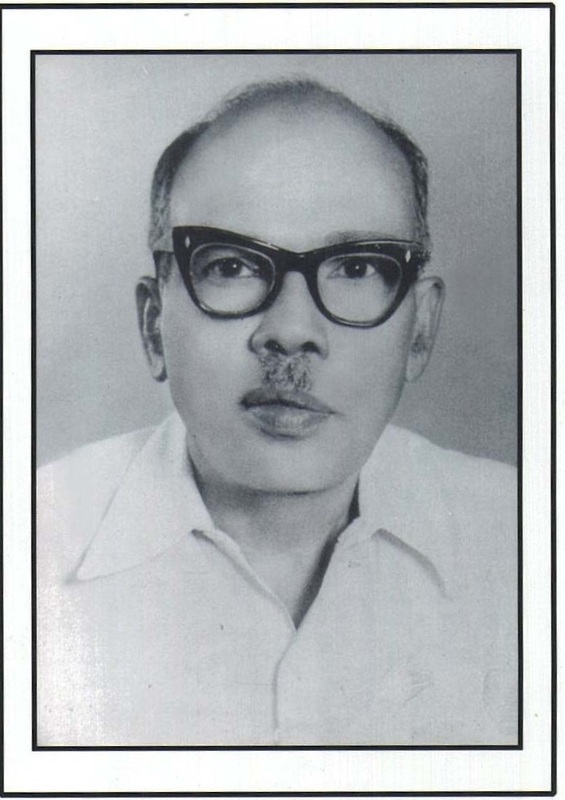 Titusji (b.18 Feb, 1905) hailed from a farming family, (Theverthundiyil, Maramon) in Kerala. He was a member of the Maramon Mar Thoma Parish. After his high school graduation, he taught in a school in Vadasserikkara (a village about 20 km away from Maramon), for a few years and then joined the Allahabad Agriculture University and cleared an Indian Dairy Diploma course with distinction. Gandhiji’s way of life, his principles and his simplicity greatly influenced Titusji that he decided to join Gandhiji’s Ashram named” Goshala “in Sabarmati. The lifestyle there was simple and austere, to say the least. All the inmates in the Ashram were allowed only two pairs of clothing and every one had to do his own chores. Early morning after prayers and two hours of charkha, each one was assigned his or her duties.He was selected by Mahatma Gandhi as a secretary for his milk project in the Sabarmati Ashram near Ahmedabad. Mr. Gulzarilal Nanda (who later became acting prime mister of India) was the secretary of another unit. Both of them were trusted friends of Gandhiji. Titus got married in 1933, to Annamma (Ikarethu House, Kozhencherry). Annamma, after her marriage, joined the Sabarmati Ashram and she donated her wedding ornaments to the Ashram. Gandhiji was very keenly interested in the activities of the dairy at the Ashram .It was in these formative years that Titusji got to know Gandhiji personally and his commitment to the freedom struggle was made stronger. .In 1930, when Mahatma Gandhi decided to break the salt law, he chose trusted Titus to be one of the selected 80 men. On March 12, 1930, Gandhi and 78 male satyagrahis set out, on foot, for the coastal village of Dandi, Gujarat, some 240 miles from their starting point in Sabarmati. Titusji was one of the satyagrahis who accompanied Gandhi in this historic event known as “Dandi March” or “The Salt Satyagraha.” Titusji was the only Christian in that group. They were beaten up and arrested by the British Police. Titusji was arrested during the march to the Dharasana Salt depot. He was initially imprisoned in the Jalalpur jail and subsequently shifted to the Nasik jail. An interesting observation about Titusji’s participation in the Dandi march was that he was not wearing the Gandhi cap during the march. Apart from him, Gandhiji was the only other person who did not wear a cap. When some of the other marchers complained to Gandhiji about it, Gandhiji took the stand that no one should be compelled to wear one. Shri Titusji was one of the four from Kerala in the March. Click to view full list of marchers. On being released from the prison, Titusji went back to the Sabarmati Ashram. In 1932 Gandhiji asked him to take charge of the ‘Goshala’ (Dairy farm) at the Ashram again. It was while he was here in 1933 that his marriage took place to Annamma, a caring, warm person who supported Titusji in all his difficult times. Titusji and his wife Annama with daughter Aleyamma at Sabarmati Ashram 1935. Titusji’s eldest daughter Aleyamma was born when he was at Sabarmati Ashram. In 1933, Gandhiji suddenly decided to disband the Ashram .Gandhiji’s instructions to Titusji was that he take the entire cattle out of the Ashram and protect the cattle. 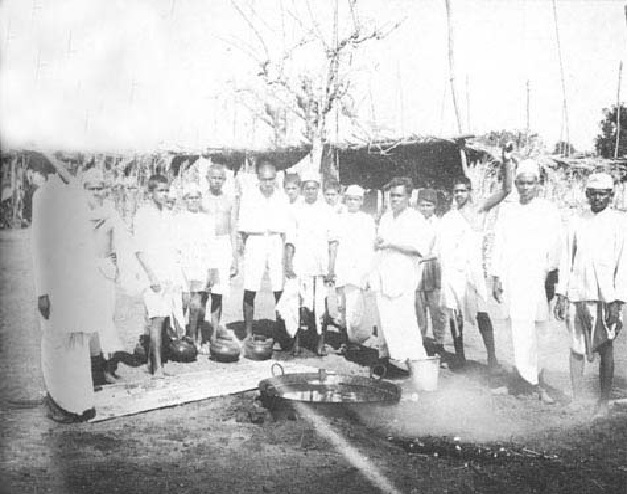 Following Gandhiji’s orders, Titusji shifted all the cattle and staff members out of the ashram and took shelter in a Panjrapole (animal shelter). Titusji slept in the stables beside the cattle through out the monsoon He worked hard to keep up the various activities of the Goshala. It was a tough life but since hardships were a way of life, Titusji did not have any problem obeying such orders. During one of his visits to Travancore (Kerala) Titusji burnt British-made clothes (foreign clothes) in Kottayam and gave a fiery speech to thousands of Malayalees to join the freedom movement. Mahatma Gandhi visited Titusji’s house in Maramon (Theverthundiyil) in 1934 on his way to the famous Hindu temple in Aranmula near Chengannur. He assured Titusji’s father that his son is safe and sound. This was considered one of the greatest events in Central Travancore. In and around Maramon, thousands witnessed his visit. Then in the middle of 1935, Gandhiji decided to handover the entire ashram property including ‘Goshala’ (Dairy farm) to the Harijan Sevak Sangh and then the Sabarmati Ashram thereafter ceased to be the hub of activities as far as the freedom movement was concerned. 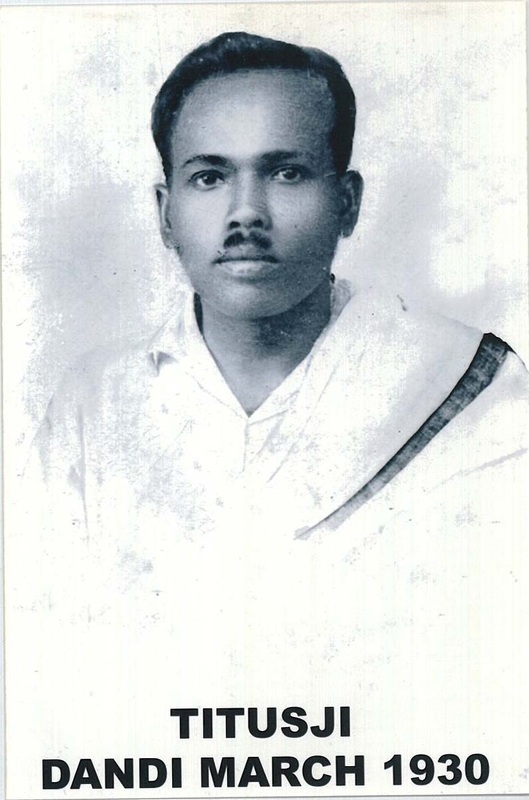 Titusji then worked in various Dairy farms as Manager in different parts of India. Due to the frequent change of places, his elder children Aleyamma, Titus and Easow stayed with relatives in Travancore .Then during the time of independence he was in Delhi as Manager with Keventers Diary. In the early 50’s, Titusji moved to Jabalpur and then to Bhopal. His family now included the addition of four more sons Joseph, George, John and Thomas. He had one daughter and six sons. He then took a job as a Manager in Bairagarh Dairy, Bhopal, Madhya Pradesh. A couple of years later the Bairagarh Dairy closed down and the family had to go through a lot of hardships. Titusji had to sell off the family car and even his property in Maramon, Kerala. But he refused to ask for any special privileges as a freedom fighter. He then got a break by getting a Government job in Obaidullaganj as instructor in an Institute training Village Level Workers. It was a job of his liking. He stayed alone in Obaidullaganj and would return to Bhopal on Saturdays for the weekend and go back on Mondays. In those days a song sung by Mohammed Rafi ‘Suno suno ye Bapuji ki Amar Kahani ’was a favourite of his and used to be played in the Institute regularly. The family kept shifting their residences in Bhopal from one rented house to another. After many ups and downs, Titusji managed to get a loan of Rs.16,000 and bought a piece of land in the Noor-Mahal area of Bhopal. The entire family worked hard to build the house which was promptly named ‘Lake View Cottage’ since it afforded a clear view of the Bhopal Lake. At that time, there were no other houses in the neighbourhood. The family shifted to this house in 1956. In 1962, Titusji got a job in Bhilai Steel Plant establishing the dairy unit in the Bhilai Steel Plant Township. He arranged for the collection of milk from nearby villages and introduced for the first time pasteurization and bottling of milk with pilfer-proof aluminium foil using imported machines. This was then distributed to all the sectors of the township. After retiring from Bhilai Steel Plant, Titusji worked with a Christian NGO in Siliguri, West Bengal. Later he shifted to Sodpur in 24 Parganas, West Bengal. Thereafter he served the World Council of Churches (Bengal Refugee Services) in Calcutta. At this point of time he had to face personal loss. On 2nd of December 1964, his second son, 24 year old Joy suddenly had a heart attack in his office and died. The funeral was attended by thousands. But cruel fate had more in store for him. 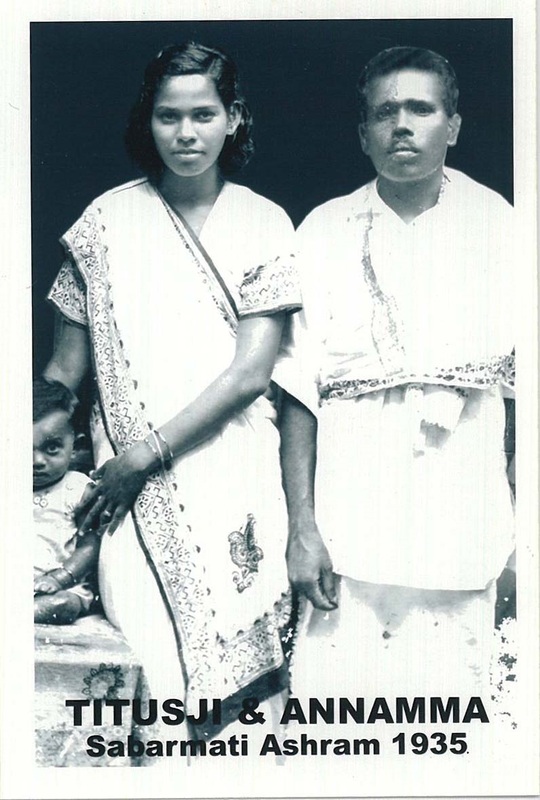 On 12th April 1965, barely two months after the sixtieth birthday of Titusji, his beloved wife Annamma passed away. She died of post operative complications after having undergone an operation for appendicitis. Inspite of all the setbacks Titusji remained active in his work. He was selected by the Birla group for setting up a dairy in the township of Hindustan Motors in Uttarpara, near Calcutta. He did this successfully and then re-settled in Bhopal in 1972 for a quiet life with his children and grand children. Titusji had immense faith in God. This helped him to overcome the trials and tribulations in his life. His honest and simple way of life made it easier for him to lead the life of a true Christian. He believed in the dignity of the individual, irrespective of his or her origin or status. He strived to help the fellow human beings in which ever way he could. Titusji being one of the few Malayali gazetted officers in Bhopal in the early 50’s, helped many Keralites who used to come to him to get their certificates attested and also in case of other difficulties .His was one home to which people could turn to without hesitation and ask for any help. Annamma, his wife had this habit of visiting the nearby Government Hospital and offering food or any possible help to anyone needy. Having experienced tough days themselves, they knew the importance of helping out the unfortunate,the lesser privileged. In Bhopal Titusji initiated the forming of a Christian Congregation. A few Marthomites who were in Bhopal in the fifties started the Sunday worship in October 1954 at the residence of Titusji. That was the beginning of the Bhopal parish and was a congregation of all Christian denominations except the Roman Catholics. As the number of members grew, the space became inadequate and the Sunday service was shifted to other spacious halls and later to local church buildings. He was an active and a well-known member of the St.Peter’s Mar Thoma Church, Bhopal. Titusji was the driving force behind the establishment of Christa Prema Kulam Mission Field at Sehatganj, which is on the Bhopal-Sagar National Highway, about 25 kms from Bhopal City. The land for the Ashram was given by him at a nominal cost.This mission field is currently doing commendable work in uplifting the condition of the rural people living in the area. In 1970, he published the book “The Bharat of my Dreams” in which he revealed his hope for the nation,and for its teeming millions. He firmly believed that all are equal and hence there should not be any disparity. He had one daughter and six sons. He passed away on 8 August, 1980, at the Kasturba Hospital in Bhopal and was buried in the Christian Cemetery there. He never got any medals or pension for his participation in the freedom struggle. We salute his humbleness, patriotism, and dedication to the nation. It is a matter of great pride to the Mar Thoma Syrian Church that it had men of such vision like Titusji, who worked untiringly for the freedom of the country. We praise and thank God for such leaders like Mr. and Mrs. Titus of Bhopal. How can you not share this story with others. We hope that it will inspire more youth from our Church to be involved in nation building with selflessness and pure thoughts. *With inputs and photos from Ms. Renu Thomas, granddaughter of Titusji and Mr. & Mrs. John Titus (son and daughter in law of Titusji). Mar Thoma Suvishesha Sevika Sanghom is celebrating its centenary during the year 2018-2019. Let us hear the story of Mrs Mariamma Joseph a former student of Vanitha Mandiram in her own words. God inspired her and used her to be one of the founders of the present Hoskote Mission Medical Centre. In this rare audio recording, she narrates the beginning of the Hoskote Mission in 1947. The recording was done in June 1984 during Mrs Mariamma Joseph’s (co-founder of the mission) address to the Dubai Mar Thoma Parish. She spoke about the beginning of Hoskote Mission and the challenges faced by the pioneering missionaries. The Hoskote Mission Medical Center was established in 1947 in Hoskote, Bangalore Rural District, Karnataka by two missionaries Mr. M. T. Joseph and Mr. A.C. Zachariah along with their wives Mariamma Joseph and Saramma Zachariah. 29 July, 1955: Mr. Daniel files suit against the Mar Thoma Metropolitan. On 29 July 1955, Mr. Ninan Daniel, of Kurumthottikkal, Melukara Pathanamthitta District and three others filed a civil suit in the District Court of Kottayam against the then Metropolitan of the Mar Thoma Church Most Rev. Juhanon Mar Thoma and six others. Mr. K.N. Daniel, was a lay leaders in the Mar Thoma Church, an eminent liturgiologist, theologian, an author of many books, and a prominent lawyer. According to Mr. Daniel, the Metropolitan favoured and accepted the faith of the Jacobite Church and as such he had no right to enter any of the Mar Thoma Churches and that he should not be allowed to continue as the Supreme Head of the Church. This case is known as the ‘Daniel Case’. This litigation lasted for almost 10 years and the final judgment from the Supreme Court of India came on 7 Jan 1965. In all the three courts (the District Court, Kerala High Court and the Supreme Court) verdicts were against Mr. Daniel. This case was an unfortunate event in the history of the Mar Thoma Syrian Church and resulted in the formation of the St. Thomas Evangelical Church of India on 26 January 1961. Twenty priests who had been ordained in the Mar Thoma Church joined and pledged allegiance to the new Church. First defendant Most Rev. Juhanon Mar Thoma Metropolitan was examined through the judicial commission in the Mar Thoma Seminary in Kottayam. His examination took 35 hours over seven days. Adv. K.T.Thomas appeared before all the three courts for the Mar Thoma Syrian Church without taking any remuneration. Total cost of the case was Rs. 13;239/- (today it could be in crores). The Malayalam translation of the Daniel case from English. Excerpts of the Daniel case. 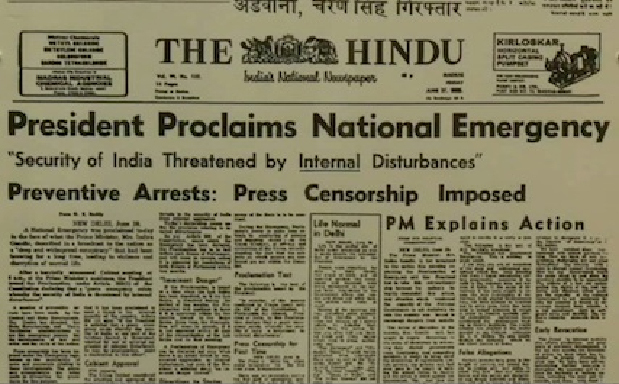 Under the Emergency rule, it was not easy to raise voices of critical opposition, in making even a mild-toned protest, one did so at considerable risk. Many kept silent because of the fear which spread among the people. Despite these pressures, some of the Christian groups made courageous attempts to express critical voices. It is significant to recognise that those who made the critical protests were not the representatives of the large institutional churches; rather, they were members of relatively small groups or of a minority group within the institutional church. Metropolitan Juhanon Mar Thoma was the only Church leader who wrote a letter to her disapproving it. The Metropolitan’s letter stated that he deemed the Emergency rule as a setback to democracy and demanded its speedy withdrawal as well as the release of the politicians arrested in this regard. His earlier statement was drafted in Malayalam in the fall of 1975. Even though it was not an entirely critical protest, but raised in a modest way a critical question, it was refused publication in Kerala. Metropolitan has written a brief yet pointed letter to Prime Minister Gandhi stating clearly his concern for the political situation. “A vast number of people, and that growing numbers, feel the price we have to pay is costly. With people like Morarji and others in jail, and a press which has lost its freedom to write news and views, we feel a kind of depression. 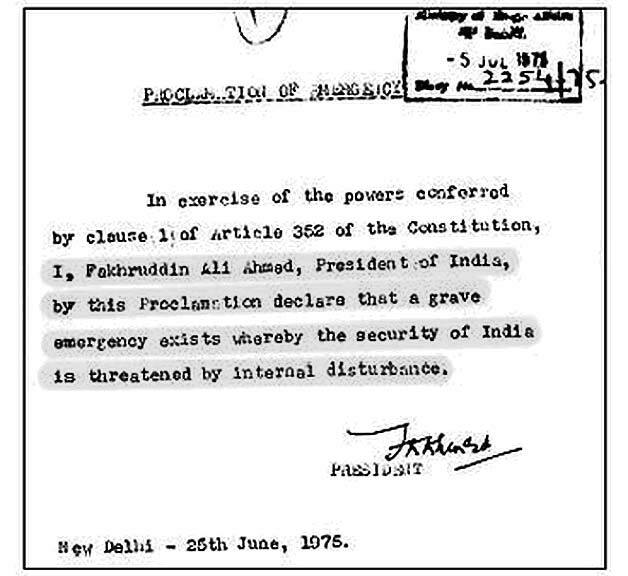 On behalf of thousands, I request withdrawal of Emergency by gradual stages. Immediate and altogether withdrawal is likely to have very bad repercussions. If the political detenus are released and’ freedom for press is given, it will be a great relief. He wrote that he was writing as a Church leader and a citizen. 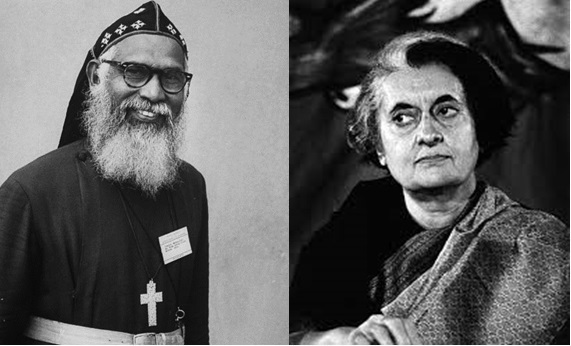 Mrs Indira Gandhi gave orders to arrest Metropolitan Juhanon Mar Thoma. Mr. C. Achuthamenon was the Chief Minister at that time and with his interference the arrest was avoided. It was the Mar Thoma Church’s fight for independence and national integrity that echoed through Metropolitan Juhanon Mar Thoma, a fearless commitment to the concerns of the people that is hard to find among religious leaders now. On September 9, shortly after he wrote this letter, he fell ill and died on September 27, 1976. 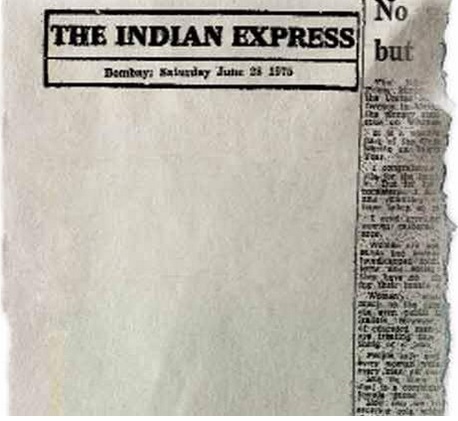 The first edition of the Indian Express after the imposition of emergency consisted of a blank page instead of editorial. The Financial Express had Rabindranath Tagore’s poem, “Where the mind is without fear, and the head is held high”. The death of Very. Rev. A.C. Kurian is unlike the death of any other priest. We feel it differently and deeply. We sense that in losing him, we have lost not only the man but also his unique way of manifesting God. He was a model priest. His memory will live on forever in the hearts of his entire dear and near ones. His parishioners remember him for his gentle presence that extended beyond the altar and into their homes, where “he was a part of our families”. Many will also miss his personal emails, letters and calls remembering people on their birthdays, anniversaries and in times of grief. Throughout his ministry, achen took special interest for the welfare of the poor, sick and needy. He was the superintendent of many of the destitute homes. After his retirement, he took active part in the Palliative Care Centre unit in Pushpagiri Hospital, Tiruvalla. At the time of his death, he was the Director of the Unit. His services were a source of comfort for the terminally sick patients in the palliative care unit. The Very. Rev. A.C. Kurian was a strong supporter of Nalloor Publications and Nalloor Library (www.nalloorlibray.com). He used to correspond with us and shared valuable information for updating our Library records. Through his death we have lost a true friend. We express our deepest condolences to his family. Kozhencherry, Tiruvalla St.Thomas, Perurkada, Nellikunnam, Vilangara Salem, Vilangara St.Thomas, Chennamkary St.Pauls, Chennamkary Bethany, Madavupara, Karyavattom, Kazakutam, Kurupuzha Jerusalem, Ponnumangalam, Perurkada Ebenezer. *Special: Sabha Secretary -2 Terms, Senior Vicar General, Supdt. of Trichur Ravi Varma Mandiram & Kottarakkara Jubilee Mandiram, MTEA Correspondence Secretary, Trivandrum JMM Study Centre Associate Director, Development Fund Collection Convener, Sabha Council Member, Episcopal Nomination Board Member, Tiruvalla Mar Thoma College -Titus College- Governing Board Member, CCI Member, Vaideeka Selection Committee Member. 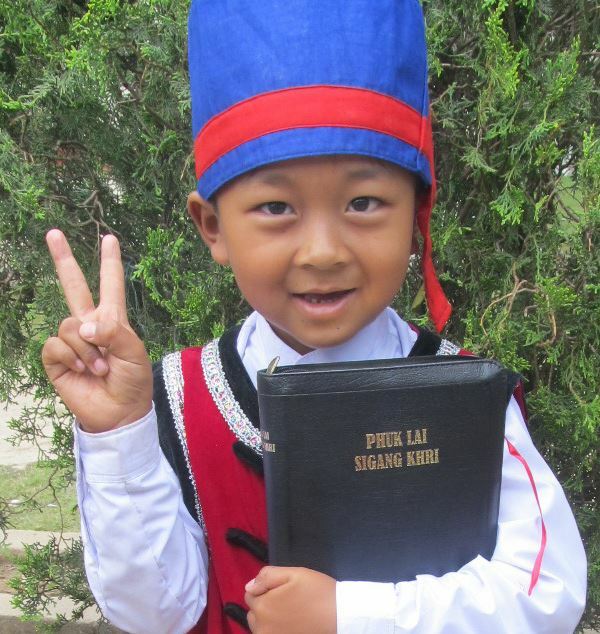 A Myanmar child holding the Bible. The First Sunday of December is observed as Bible Society Day. It was the British and Foreign Bible Society, established in London in 1804, that first made a concerted effort of translating, printing and publishing Bibles in different languages. 1.To Every Person in his/her own language. It is in pursuance of this objective that it brings out special editions for students,members of the armed forces, in Braille type for the blind, etc. The United Bible Society distributes an average of 32 million full Bibles each year. In addition to that, they distribute enough New Testaments and Scripture portions to potentially reach 5% of the world’s population each year. In 2012 they distributed over 405 million Scripture items. In 2016, Bible Societies assisted in the completion of translations in 61 languages spoken by over 428 million people. 2016 was ‘a first’ for no fewer than 30 languages, spoken by over 95 million people. 17 communities now have their very first Bible, 6 have a New Testament and 7 communities have their first, or additional, portions of Scripture. On 22nd October 2017 (20th Sunday after Pentecost), Family Sunday is celebrated by the CSI church, CNI church and the Mar Thoma Syrian Church. The focus of the service is on the “Family a Place of Faith formation”. Download this free pdf Ebook published in Malayalam in 1951 that is still relevant to today’s Christian life. This book can be used as a resource for your Family Sunday service. The link can be shared and used by church members, parishes and church organizations. 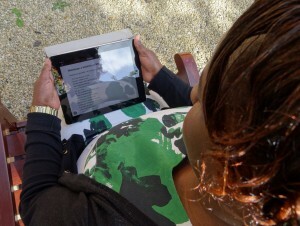 It can be accessed on any smartphone, tablet or computer for free. Listen to a rare 33 year old recording to commemorate the 70th Anniversary of the Hoskote Mission Field. This audio is a recording of the speech given by the Most Rev. Dr. Philipose Mar Chrysostom Mar Thoma Valiya Metropolitan ( b.27 April 1918.) during the Maramon Convention 2017.